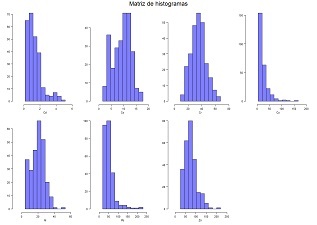 Compute a frequency table of a quantitative variable and plot a simple histogram and the cumulative histogram. Classes are of equal interval. 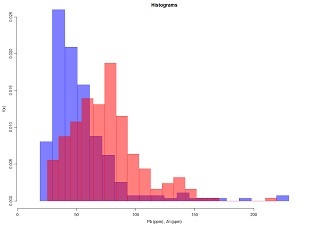 Plot a simple histogram of equal frequencies classes and the cumulative histogram. Plot a matrix of histograms of a set of quantitative variables. 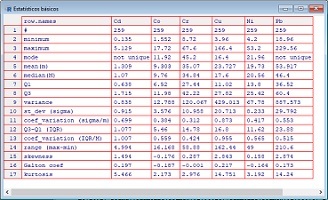 Draw one or several box-plots in the same graphic. 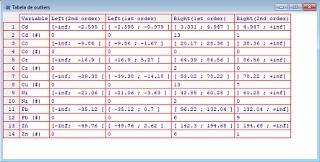 Compute and display several univariate and basic statistics for one or several quantitative variables. The complete list is: minimum, maximum, mode, mean, median, Q1, Q3, variance, standard deviation, variation coeficients, IQR, range, skewness coeficient, Galton coeficient and kurtosis. 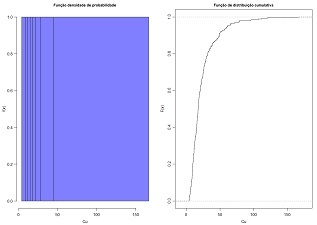 Compute and display the intervals and the number of individuals of the 1st and 2nd order outliers (left and right) for one or several quantitative variables. 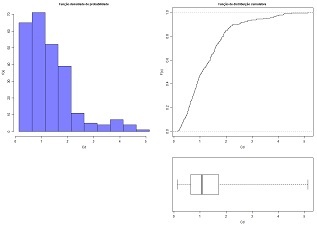 Display a simple histogram, a cumulative histogram and the box-plot of one quantitative variable. 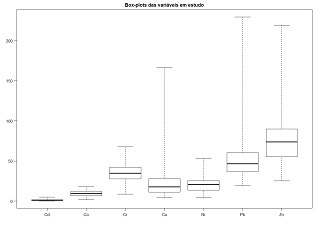 The box-plot is aligned with the cumulative histogram. 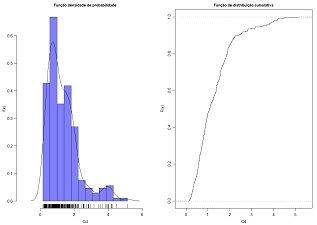 Plot two histograms of two quantitative variables in the same graphic for sake of comparision. Draw a stem and leaf plot. 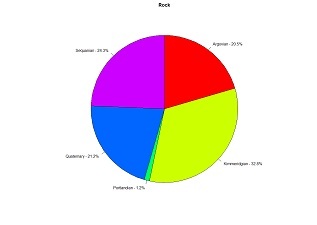 Plot a bar chart or pie chart for one qualitative variable. 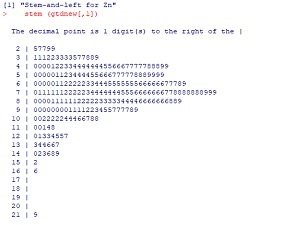 Compute and compare arithmetic mean, harmonic mean and geometric mean. 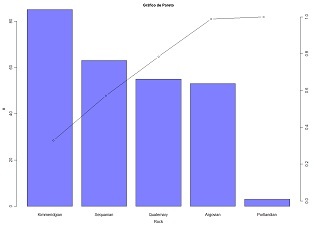 Draw a Pareto chart of a qualitative variable.